Revolution (from Late Latin revolutio which means "a turn around") is a significant change that usually occurs in a relatively short period of time. Revolutions hew the past to pieces and cast it into a cauldron, but what has emerged is the old Aeson with a new visage. The peoples' revolution ... will arrange its revolutionary organisation from the bottom up and from the periphery to the centre, in keeping with the principle of liberty. It is time to apply to the mystique of revolution the same critical intelligence that has been applied to the mystique of war. Maria Bamford, Nerdist podcast, episode #25, July 5, 2012. Morally, it is wrong to suppose the source of evil is outside oneself, that one is a vessel of holiness running over with virtue. Such a disposition is the best soil for a hateful and cruel fanaticism. It is as wrong to impute every wickedness to Jews, Freemansons, "intellectuals," as it is to blame all crimes on the bourgeoisie, the nobility, and the powers that were. No; the root of evil is in me as well, and I must take my share of the responsibility and the blame. That was true before the revolution and it is true still. I realized that the only purpose to revolution is to be able to love who you want, how you want, when you want and where you want. REVOLUTION, n. In politics, an abrupt change in the form of misgovernment. Specifically, in American history, the substitution of the rule of an Administration for that of a Ministry, whereby the welfare and happiness of the people were advanced a full half-inch. Revolutions are usually accompanied by a considerable effusion of blood, but are accounted worth it -- this appraisement being made by beneficiaries whose blood had not the mischance to be shed. 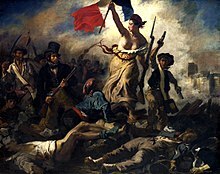 The French revolution is of incalculable value to the Socialist of to-day; when he pulls the string actuating its bones its gestures are inexpressibly terrifying to gory tyrants suspected of fomenting law and order. Revolution is a city flower; it does not flourish in the country. This means we must subject the machine—technology—to control and cease despoiling the earth and filling people with goodies merely to make money. The search of the young today is more specific than the ancient search for the Holy Grail. The search of the youth today is for ways and means to make the machine—and the vast bureaucracy of the corporation state and of government that runs that machine—the servant of man. 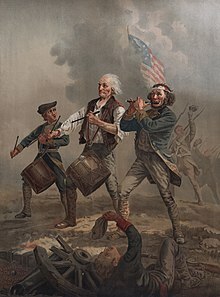 That revolution—now that the people hold the residual powers of government—need not be a repetition of 1776. It could be a revolution in the nature of an explosive political regeneration. It depends on how wise the Establishment is. If, with its stockpile of arms, it resolves to suppress the dissenters, America will face, I fear, an awful ordeal. Every change in the social order, every revolution in property relations, is the necessary consequence of the creation of new forces of production which no longer fit into the old property relations. The colonized subject thus discovers that his life, his breathing and his heartbeats are the same as the colonist's. He discovers that the skin of a colonist is not worth more than the "native's." In other words, his world receives a fundamental jolt. The colonized's revolutionary new assurance stems from this. If, in fact, my life is worth as much as the colonist's, his look can no longer strike fear into me or nail me to the spot and his voice can no longer petrify me. I am no longer uneasy in his presence. In reality, to hell with him. Not only does his presence no longer bother me, but I am already preparing to waylay him in such a way that soon he will have no other solution but to flee. 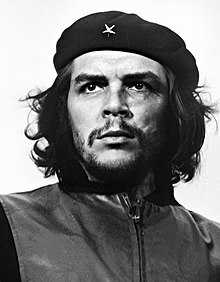 The succeessful revolutionary is a statesman, the unsuccessful one a criminal. [W]hat is happening is what left-wing revolutions do tend to produce, whether they’re talking about the Russian Revolution or the French Revolution, and that is students – the next generation of revolutionaries – become not only more radical than their radical professors, but they turn on them so the revolution tends to consume its own. So now people who think of themselves of impeccably left-wing will say something that offends some group of radicalized students – perhaps students that they themselves helped to radicalize – and suddenly they are the ones under fire for not conforming sufficiently to the contemporary orthodoxy. Variant translation: One must have a large dose of humanity, a large dose of a sense of justice and truth in order to avoid dogmatic extremes, cold scholasticism, or an isolation from the masses. We must strive every day so that this love of living humanity is transformed into actual deeds, into acts that serve as examples, as a moving force. State authority can never be an end in itself; for, if that were so, any kind of tyranny would be inviolable and sacred. If a government uses the instruments of power in its hands for the purpose of leading a people to ruin, then rebellion is not only the right but also the duty of every individual citizen. Abbie Hoffman, spoken to police immediately prior to his 1968 arrest in Chicago; quoted in Marty Jezer's biography of him, "Abbie Hoffman: American Rebel"
The notion of capturing positions of power, whether it be governmental power or more dispersed positions of power in society, misses the point that the aim of the revolution is to dissolve relations of power, to create a society based on the mutual recognition of people's dignity. What has failed is the notion that revolution means capturing power in order to abolish power. What is now on the agenda is the much more demanding notion of a direct attack on power relations. The only way in which revolution can now be imagined is not as the conquest of power but as the dissolution of power. 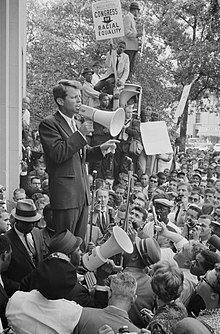 If this avenue [of democratic political revolution] be shut to the call of sufferance, it will make itself heard through that of force, and we shall go on, as other nations are doing, in the endless circle of oppression, rebellion, reformation. You cannot buy the Revolution. You cannot make the Revolution. You can only be the Revolution. It is in your spirit or it is nowhere. Ce n'est pas une révolte, c'est une révolution. It is not a revolt, it is a revolution. Revolutions are usually a matter of people picking up the power of a state in disintegration, a government that has lost the will to enforce its laws. A revolution is sometimes necessary, but if revolutions become habitual the country in which they take place is going down-hill. The Revolution will not be televised. The Revolution will be no rerun, brothers. The Revolution — will be live. Many of the world's troubles are not due just to Russia or communism. They would be with us in any event because we live in an era of revolution—the revolution of rising expectations. In Asia, the masses now count for something. Tomorrow, they will count for more. And, for better or for worse, the future belongs to those who understand the hopes and fears of masses in ferment. The new nations want independence, including the inalienable able right to make their own mistakes. The people want respect — and something to eat every day. And they want something better for their children. The most seditious is the most cowardly. Anytime you find somebody today who's afraid of the word 'revolution,' get him on out of your way. He's living in the wrong era. ... He hasn't awakened yet. Quotes reported in Hoyt's New Cyclopedia Of Practical Quotations (1922), p. 672-73. Voulez-vous donc qu'on vous fasse des révolutions à l'eau-rose? Do you think then that revolutions are made with rose water? Nicolas Chamfort, to Jean-François Marmontel, who regretted the excesses of the French Revolution. Je suis le signet qui marque la page où la révolution s'est arrêtée; mais quand je serai mort, elle tournera le feuillet et reprendra sa marche. I am the signet which marks the page where the revolution has been stopped; but when I die it will turn the page and resume its course. I know and all the world knows, that revolutions never go backwards.